(Boston, MA) – BOND, the Northeast’s premier building, civil, utility and energy construction firm, announces that Gemma Power Systems, LLC (Gemma) has selected BOND as the civil and underground utilities contractor for the Exelon West Medway II, LLC project in West Medway, Massachusetts. This is a great win for BOND’s Civil & Utility Division, and a testament of the strong leadership and record of successes in the delivery of large power generation projects throughout the Northeast. The West Medway II project is a new 200 MW dual-fuel power generation facility on Exelon’s existing West Medway site. 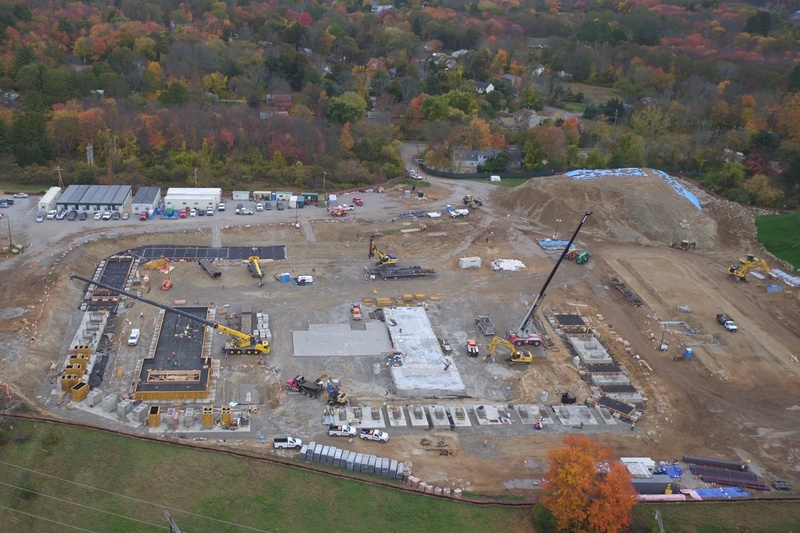 Gemma is the Engineer-Procure-Construct (EPC) contractor for Exelon and has chosen BOND to perform all of the site civil work and to install all of the equipment foundations, underground piping, and the underground electrical duct banks for the project. BOND will offer expertise in managing the execution of all these scopes of work simultaneously, working with Gemma and its many other suppliers and subcontractors to sequence this fast track project. The Exelon West Medway Power Generation Facility will support ISO New England’s requirements to provide ‘peaking’ power when needed. The 200 MW facility will be constructed on a 70-acre site adjacent to Exelon’s existing 135 MW West Medway Generating Station and will feature two 100 MW General Electric LMS 100 combustion turbine generators.